Editor's Note: As the Indian Republic turns 70, Tufail Ahmad begins a journey through the country to examine the working of democracy at the grassroots level. Inspired by the French author Alexis de Tocqueville, who toured America and wrote Democracy in America, the author — a former BBC journalist and now senior fellow at the Washington-based Middle East Media Research Institute — will examine how sociological realities of India and the promise of democracy interact with each other in shaping the lives of the Indian citizen. This report is the twelfth in a series called "Democracy in India". 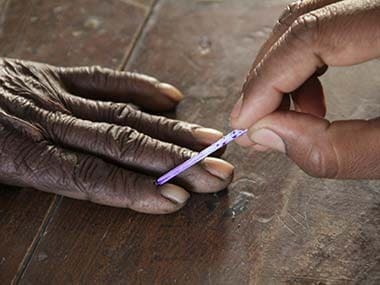 Porbandar: If an entire class of voters, in this case the Muslims of Gujarat, stops expecting anything from an elected government, it rings alarm bells for the health of democracy in India. And yet, this seems to be the case. On this trip, I travelled through Surat, Vadodara, Borsad, Ahmedabad, Rajkot and Porbandar. One noticeable trend is: When compared with the response of Muslims in northern India which is largely negative, confrontational and full of grievances, Muslims in Gujarat have a constructive attitude and are relying on their own efforts to ensure progress. 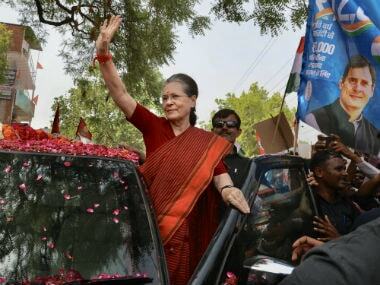 Part XI of this series argued that elections have emerged as a means of eliminating Muslims and other marginalised communities from the country's political leadership, particularly in Gujarat. But another factor that is creating divisions between Muslims and Hindus of Gujarat is the 'Disturbed Areas Act'. Under the law — brought by Congress, not the BJP — Muslims cannot buy property in Hindu areas and vice versa. It requires a buyer to get approval from police and neighbours. And objections can be raised by any neighbour, not just the immediate ones, preventing the sale. Gujarat suffered a series of riots for more than a decade till 1995 and then in 2002 again. Much like in northern Indian towns, riots in Gujarat forced Hindus to leave Muslim-dominated areas and vice versa. For example, Hidayat Nagar in Surat was mainly a colony of Muslims, but after the 1993 riots, it became a Hindu-dominated residential area though it retained its Muslim name. Iqbal Belim, a corporator of the Surat Municipal Corporation, told me this in Surat. In 2017, while touring Uttar Pradesh, I wrote on how India was headed for "multiple partitions", as our towns were getting divided between Hindus and Muslims. Towns in Gujarat present a similar picture. In Vadodara, Dr Jayesh Shah, research consultant at the Centre for Culture and Development NGO, said, "In Muslim-majority areas, Muslims are buying Hindu homes at 10 times the actual price. Hindus are also doing the same thing. There is big polarisation in this sphere." On Ajwa Road in Vadodara, there are 200 residential societies where no Hindus live now, while in Sama and Nizampur areas of the city, there are 180 societies where no Muslim lives, he said, adding that this situation is not limited to Vadodara alone but spread across Gujarat. While riots divided towns in north India, the 'Disturbed Areas Act' and the ensuing politics are bringing the phenomenon to Gujarat as well. The law was enacted as a temporary measure, but its jurisdiction has been imposed in different areas of towns by the BJP government for no reason of lawlessness. "They do not want Muslims to live in cities," said Aslam Cyclewala, a corporator in Surat, adding, "The scope of this law was expanded despite no Muslim having run into a conflict with a Hindu seller." While Hindus are not affected as they do not buy property in Muslim areas, Muslims are forced by this law into ghettos and cannot buy property in new developments managed by Hindus. 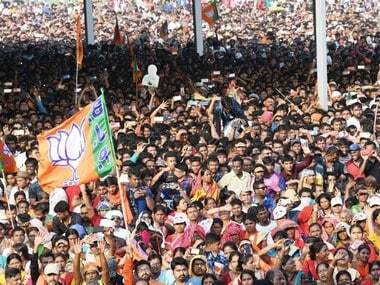 However, despite political and economic exclusions, the Muslims of Gujarat have responded positively. Asked about the post 2002 riots situation, Dr Lancy Lobo, director of the Vadodara-based Centre for Culture and Development, said, "Muslims have learnt many lessons. They have stopped putting faith in the regime. They have begun establishing educational institutions." 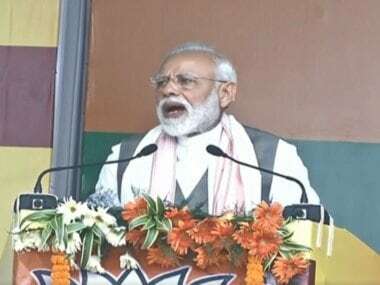 He added, "Muslims are beginning to move away from Mullahs and the Congress because there was appeasement of Mullahs under Congress, not of Muslim masses." Zuber Gopalani, the vice-president of the All India Muslim Majlis-e-Mushawarat for Gujarat, concurred with the view. He noted that the 2002 riots "pushed us to work on the ground among Muslims" and "madrasson se rukh mod kar (turning away from madrassas), we began working for education through different means such as interest-free loans." "Post 2002, the number of Muslim schools has risen to 700-plus, most of which are English-medium. Today, Muslim NGOs worry about how to reduce dropout rate," he added. Dr JS Bandukwala, a noted Muslim intellectual in Vadodara who has been active in the educational movement of Muslims, said that after the 2002 riots, "Islamic clerics are not assertive like before. They treat us (liberal Muslims) with respect. They understood that they don't have answers to the questions of the day." "Most Ulema (Islamic clerics) are poorly paid, around Rs 10,000 a month. As a result, there is no top-level talent among them. It was beyond the capacity of Ulema to handle the situation (after 2002 riots)," he added. "The thought among Islamic clerics that only madrassas are necessary and relevant is 90 percent dead. Most madrassas are now running schools or preparing students for mainstream schools," Iqbal Belim said, adding, "Islamic scholars do not see any path for the development of Muslims other than education. The thought that Muslims used to expect the government to resolve their problems is now becoming extinct." In their speeches in mosques across Gujarat, Islamic scholars speak about the need for education, no longer just religious education. Similar opinion is expressed across Gujarat. In Surat, Aslam Cyclewala said, "Before 2002, Muslims used to think of responding to a brick thrown at them with a stone. Now, they think of responding educationally and economically." 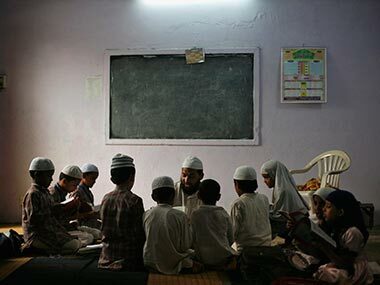 In Vadodara, Farid Lakhji, a corporator of the city municipal corporation, observed, "Religious organisations and madrassas are working in the field of education across Gujarat." In Rajkot, Congress leader Yunusbhai Juneja noted that after the 2002 riots, Muslims understood that they must progress in education on their own and stopped expecting any help from the government. "Regarding the government and administration, there is a nirasha ki bhavna (attitude of hopelessness) among Muslims," he added. Be it in Surat, Vadodara, Rajkot or elsewhere, Gujarat's Muslims can be seen involved in local businesses, but Muslims who came from outside Gujarat work mainly as labourers. Kamran Usmani, a businessman in Surat, was of the view that Muslims have understood that there are no jobs in government and therefore they focus on sectors without any need to go to the government. Another businessman in Surat who asked not to be named said Muslims are going into those professional courses where there won't be any need for a government job. So Muslim students choose courses in law, medicine, engineering, media, etc. I went to Borsad, about 45 kilometres from Vadodara, to see the Hanifa Senior Secondary school run by Zuber Gopalani, who represents the class of Islamic scholars. It is an English medium, co-educational school for classes I to XII. "We don't cook non-vegetarian meals at lunch in keeping with the religious sentiments of non-Muslim students," Gopalani said, adding that about 12 percent students and 65 percent teachers are non-Muslims. Interestingly, this school has cricket and soccer teams for female students, something rare among Muslim-managed schools. I was shown around by a Deoband-educated Islamic scholar who spoke fluent English. What caught my attention was a bridge course for huffaz (students who memorise the Quran). Muhammad Kalimullah, head of the department of Islamic studies and moral sciences, explained that the school writes to different madrassas to send huffaz for this two-year course, during which they are taught all subjects including English, Hindi, mathematics and material sciences. After the course, they appear for Class X board examination of the National Institute of Open Schooling, and go on for further studies in any school of their choice. This is a good example of integrating madrassa students in the mainstream school system. A similar bridge course for madrassa students exists at the Aligarh Muslim University as well. At Saraspur in Ahmedabad, Maulana Habib Ahmed runs a madrassa. In 2004, he also established the Faizan English and Gujarati Medium School, which is a co-educational institution. He rejected the argument that the 2002 riots sparked change. "If riots were the cause of change, why was there no change after the riots in Bhagalpur and Moradabad?" he asked. "Educational trends among Muslims of Gujarat mirror trends elsewhere in India and the world." He was exasperated when I asked him what drove him to establish the school after the riots. "Wajah nahi maaloom, ki ye tabdili keon aayi hai (The reason is not known as to why this change has come)," Ahmed said. His comments are vital to understanding the march of democracy in India. The 1980s saw a bloody military confrontation between democracies and communism. Margaret Thatcher and Ronald Reagan provided the global leadership that led to the military defeat of Communism in Afghanistan in 1989. Democracies emerged victorious. Also, the fall of the Berlin Wall in 1989 unshackled the Indian mind, paving the way for economic liberalisation in India. Much of the development that India is witnessing is due to the economic reforms initiated by PV Narasimha Rao and Manmohan Singh. Shahnawz Shaikh, a first-time corporator in the Ahmedabad Municipal Council, observed, "Education is reaching Muslims due to privatisation and commercialisation of education in India." Maulana Habib Ahmed's inability to understand where the change came from is explained by Shaikh. "Globalisation and internet are the main causes of increasing awareness about the need for education. Islamic clerics have grasped the need for change," Shaikh observes, adding, "The forces of demand and supply are at work in spreading education. Muslim youths are asking questions of their leaders." He gave the example of the triple talaq issue where Islamic scholars had to meet the forces of supply and demand when questioned by youths. "Now, Islamic clerics are thinking that such questions will arise and they must be prepared," he said. The mass democratic awareness about education is similar to the awareness among Hindus. It is also a fact that Muslims in Gujarat have imbibed a positive approach. The best example of this is in Juhapura, an underdeveloped area of Ahmedabad inhabited mainly by Muslims. Zulfikar Tunvar, a journalist in Juhapura, said that not only are Muslims here sending children to good schools, they have imbibed some characteristics as well: They grasp that their children must mix with non-Muslims, which basically counters the teachings of Islamic clerics who insist on keeping Muslims with Muslims. He also noted that this positive change was seen when Muslim owners of meat shops in Juhapura understood that it is not right to butcher animals in public or hang meat openly in shops. While positive changes exist, some resistance to change also remains among Muslims of Gujarat. In Porbandar, Haji Ibrahim Khan Pathan, the president of Sunni Anjuman-e-Islam, insisted that I mention his view: "I do not believe in education of girls. Only a little religious education is necessary for Muslim girls so that they can care for their husbands, children and parents-in-law. Girls go to college for fashion. Girls should not become anything (professionally). Girls are decorations of the religion, of Islam, of home." I end this essay at the door of Gopalani's school at Borsad. The fact that his school has girls' teams playing cricket and soccer is a sign of democratic empowerment, which would be impossible without democracy. 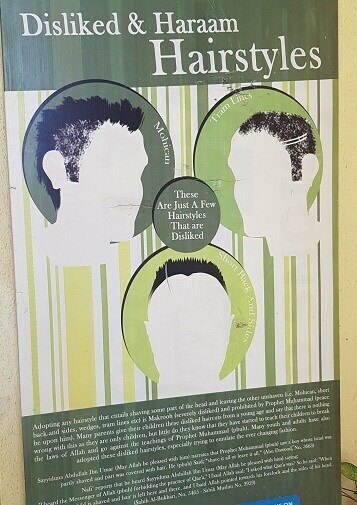 However, when I entered the school building, there was a board message telling students which type of hairstyle is haram (forbidden by Islam). If any religion, ideology or system of ideas determines the hairstyle of a student, it is a form of totalitarianism that curbs that student's individual freedom. In such situations, Islam will flourish, Muslims will not. The progress of Muslims remains embroiled in this struggle between democracy and Islam.